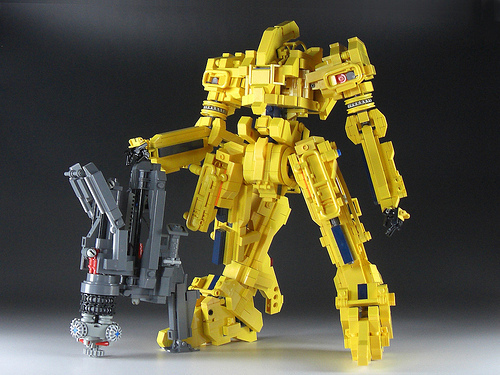 Mecha Master Izzo brings us the VEX-8000 (Versatile Equipment) industrial type mecha. Izzo’s creations are so stunningly brilliant, it’s difficult to even describe how amazing they are. This one does not disappoint. Pay special note to the mecha’s “gun” which appears to be more of a massive industrial drill tool. I would give anything to see this in person one day.